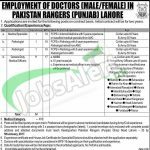 For those who are in Search for jobs in Pakistan Rangers Pakistan Rangers Punjab Jobs 2016-17 For General Duty Medical Officer. Applications are being offered from the renowned department named Pakistan Rangers Punjab is currently seeking and looking to hire the well disciplined, experienced, caliber and adroit candidates are required to apply for the following posts which includes Medical Specialist, Pathologist, Radiologist and General Duty Medical Officer are the posts which needs to be filled by the applicants along with overall qualification of FCSP, MBBS with relevant disciplines as Medicine, Pathology & Radiology with relevant expertise are house job are required to apply for these jobs, Retired Army Officers and those of Civilians are also eligible to apply who attain the age of 45, 55 and 50 years and will be send for different operations in different areas as Sialkot, Lahore, Rawalpindi, Bahawalpur, Rahim Yar Khan, Kashmore, Islamabad, Kalat, Gilgit and much more. Initially applicants will be hired for the contract basis for 2 years period. Attractive salary package will be given to the applicants. Now, have a look further on its applying criteria below. Application along with attested copies of educational and experience certificates, job certificates in triplicate along with 3 recent photographs with 1 postal envelope enclosed with address should reach the following address given below. Last date for submission of application is 5th January 2017. Army/Civilian candidates will be preferred the most. Shortlisted candidates will appear in interview / test. No TA/DA will be paid for appearing in the interview / test. So, keep in touch with this page ever for fantastic job stuff. 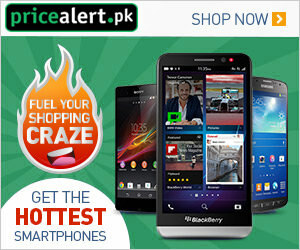 Address: Headquarters Pakistan Rangers (Punjab), Ghazi Road, Lahore-33.